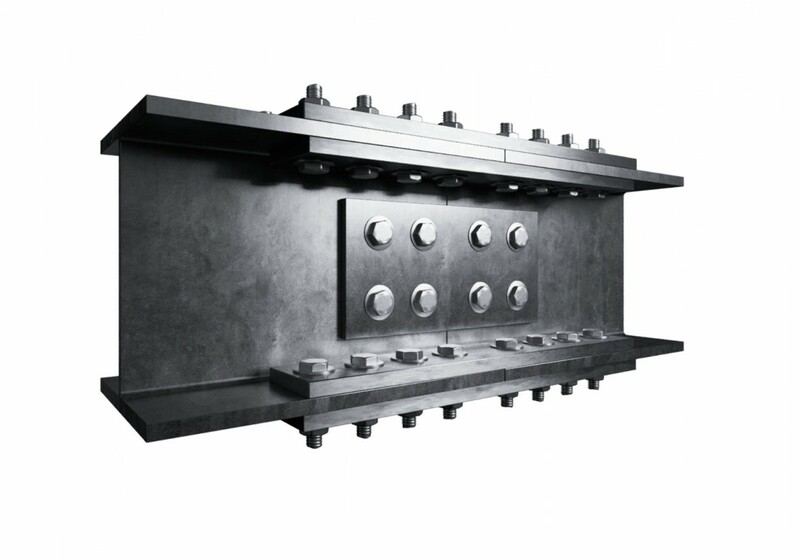 4 PLATE SPLICE - Surrey Steels - Steel fabricator and supplier in London. 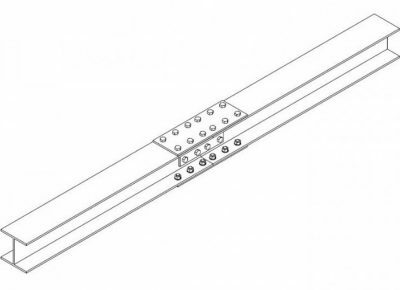 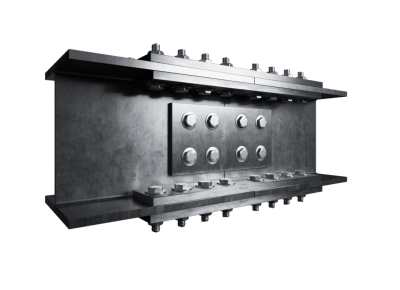 4 plate splice – As the title suggests, this splice detail incorporates 4 bolted plates joining a beam that would have generally been supplied in 2 pieces for ease of install. 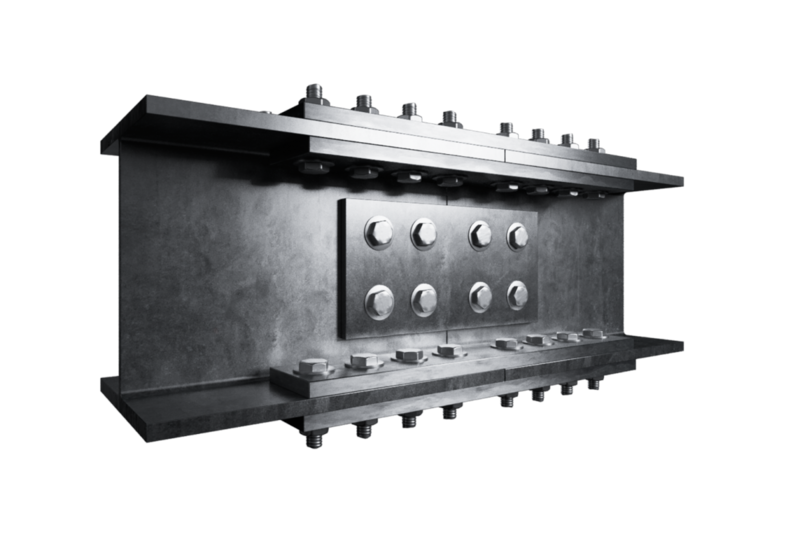 The 4 plates are drilled and bolted across the 2 beams – 1 to top flange, 1 to bottom flange and 2 to the web. 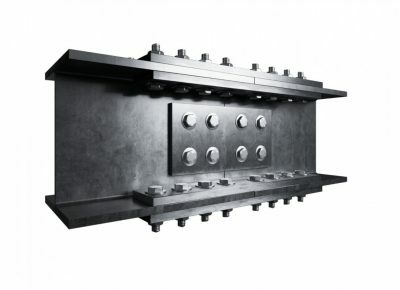 In some cases where head room is critical, countersunk bolts can be used to reduce the depth of the detail or if absolutely necessary the plates can be inside the beam instead of outside. 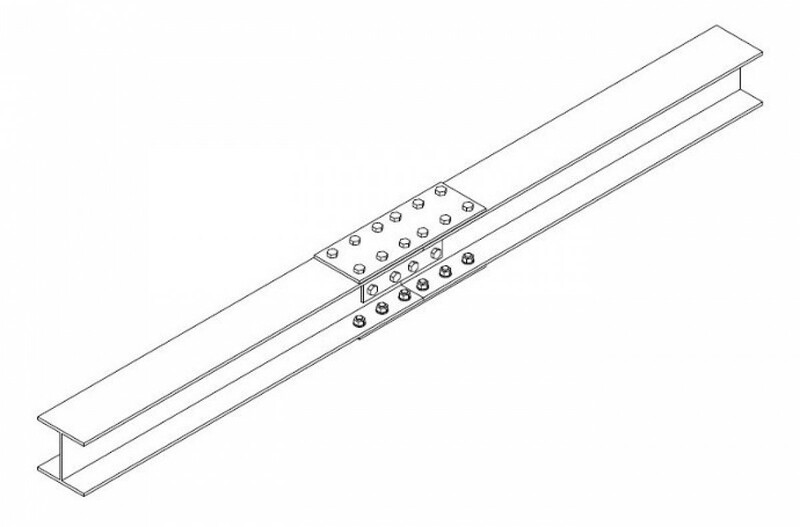 To further strengthen this connection high strength friction grip bolts can be utilised to prevent any bolt slippage.